One of the first rules of marketing is that you need to know your audience. When it comes to online marketing, you need to understand your target audience online before you can determine how, and where, to reach these potential customers. 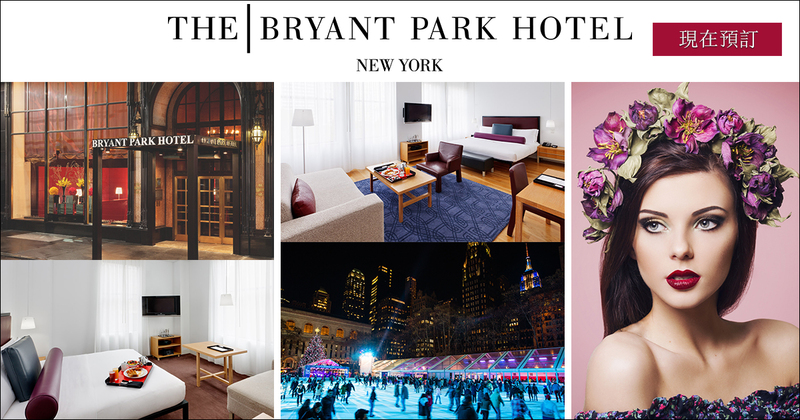 This is what Bryant Park Hotel did with the help of Sheng Li Digital. New York is one of the world’s busiest tourist destinations, and expects 1 million visitors from China alone by the end of 2018. Bryant Park Hotel is a boutique hotel located in New York’s midtown. With the massive market potential in mind, the hotel’s marketing team reached out to Sheng Li Digital in order to attract Chinese audiences online. The hotel’s new online marketing strategy revolved around one key new element: a landing page written in traditional Chinese characters, which would allow them to better communicate with, and drive potential guests to. The landing page created by Sheng Li Digital showcased the central location and the exceptional amenities and service of the hotel, and was well optimized for organic search in Chinese. The page included several new touchpoints to communicate with visitors, such as a clear contact us form and a prominent WeChat QR code. 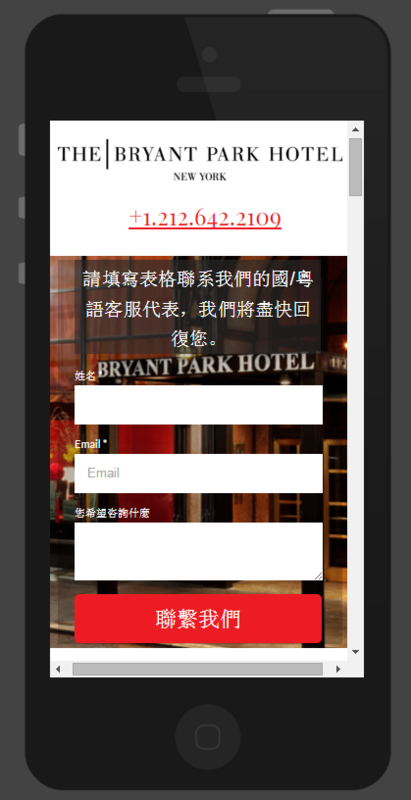 Now that Bryant Park Hotel had a fully optimized Chinese-language landing page, Sheng Li utilized a variety of channels and online marketing tactics to drive qualified traffic to that page. The goal, in addition to increasing sales, was to help amplify the hotel’s brand name and reputation amongst potential Chinese travelers. One of these channels was Google AdWords. It was important for Bryant Park Hotel to reach Chinese tourists from Western countries, as well as tourists coming from China. A Google AdWords campaign was used to capitalize on related search terms from the U.S., Canada, Australia, and the UK. We also started a Google AdWords campaign in Taiwan, as the country has not blocked Google like China has. Facebook was used to drive local interest from North American Chinese tourists, and engage with them through a visual manner more appealing to a North American Chinese audience. To reach tourists from China directly, Sheng Li focused on search engine marketing through Baidu, China’s largest search engine. After extensive keyword and cultural research, Sheng Li was able to target and capture the interest of people planning travel to New York, and ran ads that were likely to appeal to their unique needs and culture. 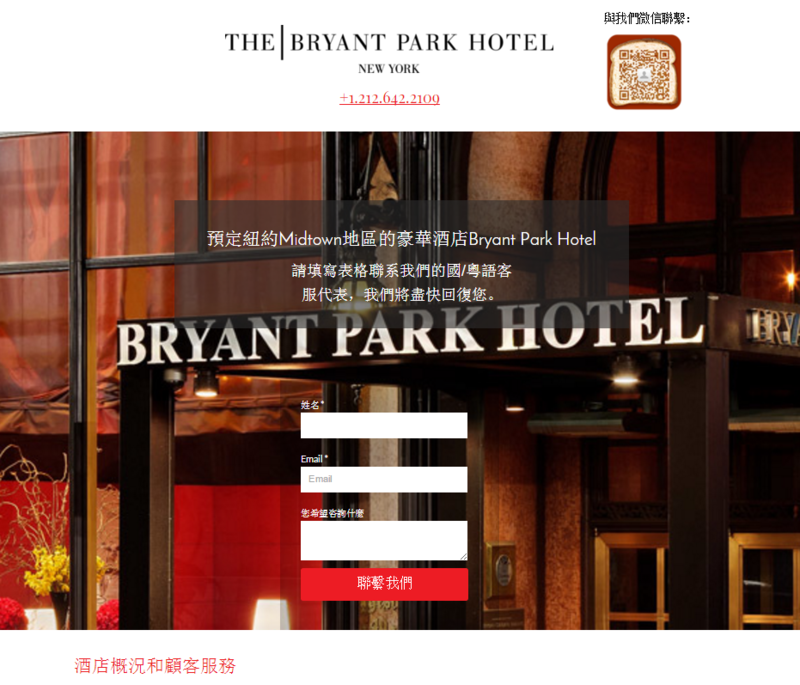 Through their highly optimized landing page and concentrated online marketing efforts, the Bryant Park Hotel’s Chinese-language landing page received over 6,000 page views in three months from a New York-bound Chinese audience. Sheng Li Digital has helped build a strong database of leads from the Chinese-speaking demographic and a robust online presence in the New York hospitality industry. Knowing the audience, and understanding how to market to geographically varied travelers, was the important first step in this journey of success.